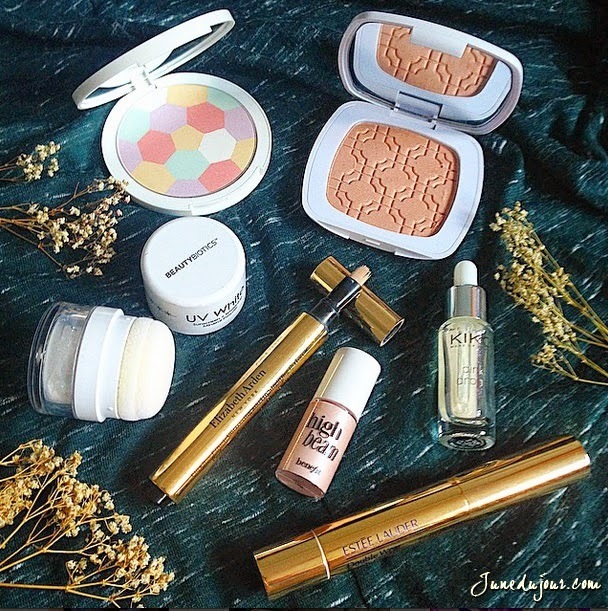 I don’t know about you but when I get my hands on new pretty cosmetic and beauty products; I get such a sweet thrill like no other. There is just that empowered sense of confidence when women bring out the best face forward and get to express their individual personalities. When looking good is not that hard to attain, it’s not difficult to see why we women love to doll up. The conscientious modern women of today are willing to spend the pretty dollar for pricey, high-end beauty products like Guerlain and YSL, to meet their ideal look and beauty goal. As much as we hate to admit it, first impressions count and how we appear/portray to the opposite party does matter. But if you actually turn the search to the trusty world wide web, you’ll actually find a number of places that you can get the same coveted item at a more economical price. In all honesty, most beauty brands marketed in counters and specialised boutiques are not susceptible to dropping their prices in view of the demand (womenfolk don’t tend to scrimp on products to be used on their precious face). Today, I’m going to share with you my top 5 places in scoring that great deal for your beauty haul! 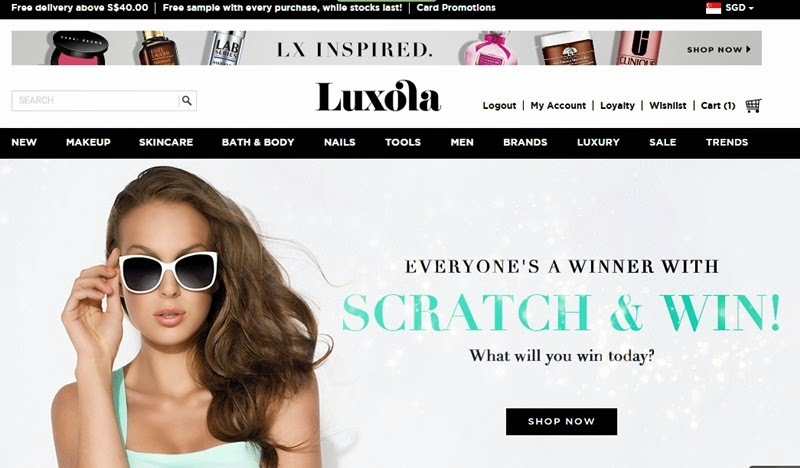 1) Luxola: when we talk about beauty products, the first that comes to mind has got to be Luxola. Stocking a massive selection of makeup products at the site; you will be spoiled for choices over their curation of well-known and cult favourite brands under the Face, Skin, Eyes, Lip Colors, tabs. Getting your hands on overseas favourites such as Alcina and Edward Bess has never been easier! 2) Zalora: Zalora is kind of like a huge online supermarket that houses a diverse array of fashion and beauty products. 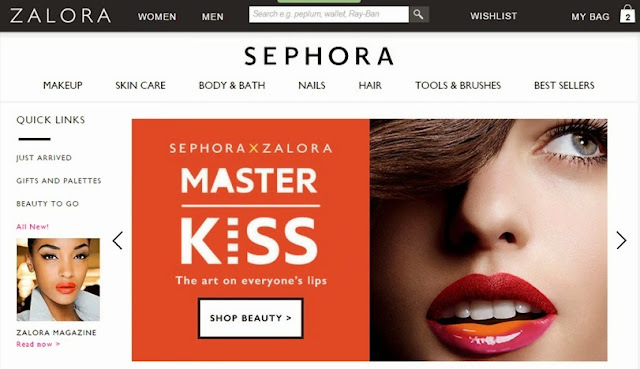 Partnering beauty store powerhouse Sephora, click on its ‘Makeup’ tab and get ready to shop a multitude of beauty brands like Urban Decay and MakeupForever without leaving the comfort of your own home. 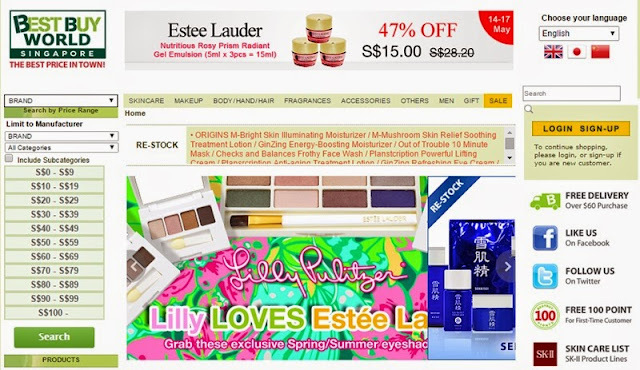 3) Strawberry Net: Strawberrynet.com is definitely not new to beauty aficionados; for years it has been the go-to place for the beauty community of Singapore. There are numerous brands that are listed at the site and offers an extensive range of options to the buyers. Especially popular for women who love the Korean / Japanese beauty trends, Strawberry.net serves up hot deals at unbeatable prices. 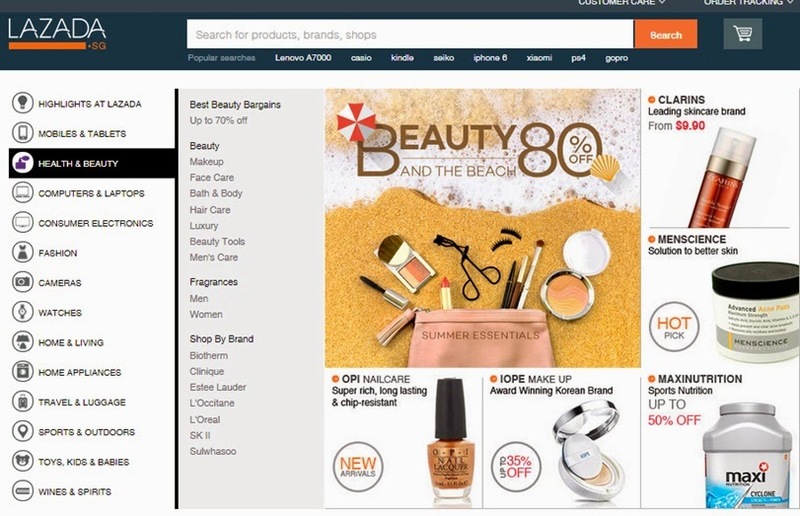 4) Lazada: Lazada is a multi niche site. It has got exclusive range in various niche products. When you visit the site, simply click at Health and Beauty section. You will come across next page where you will have to select sub category of makeup. This section will further divide into many other parts such as Face, Lips, Eyes, etc. You can then explore the collection. Site also allows you to refine your search further by selecting brand that you like. 5) Best Buy: If you haven’t already heard of Best Buy then its time to add this to your bookmark list. Similar to Lazada, this site allow you to find the latest and past season branded beauty brands at competitive prices, amongst other lifestyle products as well! 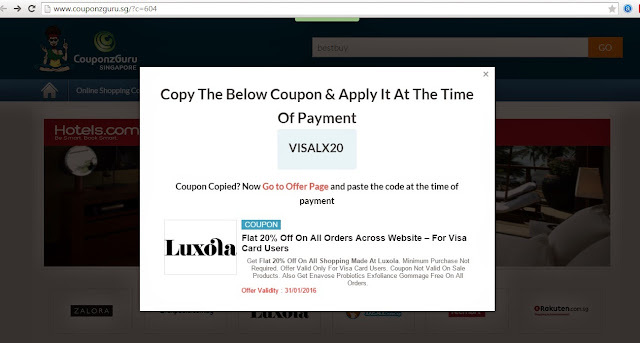 And if that doesn’t sound like a great deal already, get this: you can also utilize further discount coupons from leading Singapore coupon and deal website CouponzGuru.sg to pocket larger savings when shopping online. 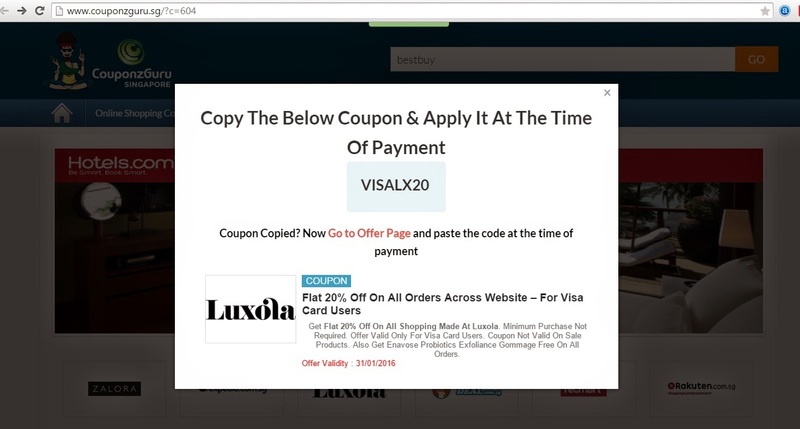 Simply search for the website you are looking for to get the code, and copy and paste to use it in the respective shopping carts…and voila you are done! I hope you found this mini shopping guide useful; if you have any other online shopping sites that you know of, drop me a comment below to let me know!